FRANKFURT -- Bernd Althusmann, the politician forecast to become premier of the German state of Lower Saxony, says someone from outside the car industry should succeed CEO Matthias Mueller when his contract expires in 2020. 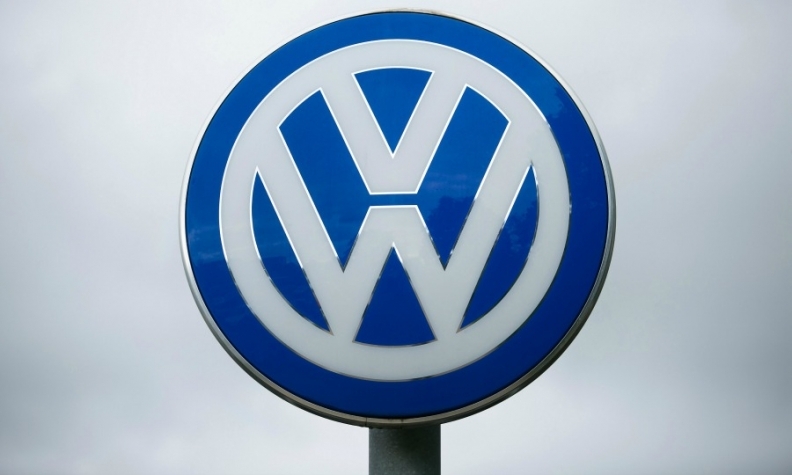 The state is Volkswagen Group's second-biggest shareholder and owns an 11.8 percent stake in the automaker and controls 20 percent of the company’s voting rights. Investors too are calling for more outside expertise on VW's management and supervisory boards to help clear up the emissions cheating as the carmaker pushes a post-scandal strategic shift to electric cars and new mobility services. That message has been reinforced by recent news that current Lower Saxony Premier Stefan Weil, who is forecast to lose the next regional election in October, allowed VW to vet a speech he made about the diesel scandal. "Perhaps it is good after all to pick someone who is completely unstressed by all conceivable automobile scandals but who still has an affinity towards this important industry," Althusmann said in an interview, without suggesting names. Traditionally, a company pedigree has been the hallmark of most VW CEOs but that tradition has been tainted by the emissions scandal that erupted two years ago, under the leadership of Martin Winterkorn, an engineer and long-serving VW insider. Mueller, 64, said earlier this year that VW is likely to pick his successor from within its own ranks. The previous head of VW's Porsche brand has been with the German group for four decades and became its CEO a week after the diesel scandal broke, forcing Winterkorn to resign. "There are for sure highly qualified personalities in German industry who would be capable of leading such a company," Althusmann said, adding he may use his voice on the board to push for an external CEO. "I see by no means an obligation to select a home-grown manager ... there should really be a serious search for a personality who further expands this global player," he said. The 50-year-old politician is a candidate for Chancellor Angela Merkel's conservative CDU party in a state election on Oct. 15 the CDU is expected to win - a result which would likely make him state premier and a member of VW's supervisory board. Althusmann said he will not sell down the state's capital stake should the CDU win the vote, but he wants to cede one of two seats to a non-political expert and hire a specialist at the chancellery in Hanover to handle matters related to VW. "We will have to act much more professionally on the supervisory board," he said, adding that investors, who have long criticized the close collaboration between Lower Saxony and the unions as obstacle to structural change, should not expect miracles from a possible CDU-led government. "I have already spoken with everyone at the plants including (works council boss) Bernd Osterloh, therefore I'm counting on good ties with the works council," Althusmann said. Outsiders taking top positions at major carmakers is nothing new. Fiat Chrysler CEO Sergio Marchionne lacked engineering experience and ran a Swiss testing and certification firm before taking the helm at Fiat, while Ford's previous CEO Alan Mulally joined from plane maker Boeing. VW's unions favor an insider for the top job, given the carmaker's peculiar ownership structure, with the Porsche and Piech families together commanding 52 percent of VW voting rights and Lower Saxony controlling a further 20 percent. A poll by opinion research institute Infratest Dimap conducted between August 18 and 26 put the CDU in Lower Saxony at 39 percent, compared with 31 percent for the ruling Social Democrats (SPD), with the Free Democrats, Greens and the anti-immigration AfD party at 8 percent each.